This is another OT. I was asked what are the equipment I use for the photographs in the blog. Well here are the tools of the trade. First the cameras. 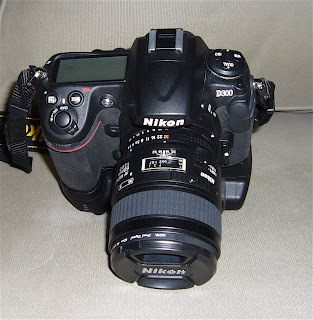 The main camera is the Nikon D300. 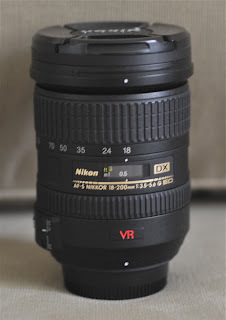 With this, is fitted the Nikon AF-S 18-200 mm 1:3.5 - 5.6 G ED VR lens. The filter fitted on this lens is the Hoya 72 mm UV-Guard (Coated). The other lens used is the Nikon 60 mm AF Micro Nikkor 1:2.8 D lens. This is the older Micro lens from Nikon. This lens allows an extra inch of working space as compared to the newer lens. The filter fitted on this lens is the Hoya Pro 1 Digital 62 mm MC UV (0). I sometimes use circular polarizing filter. The circular PL filter I use is from Kenko Digital Filter Series. 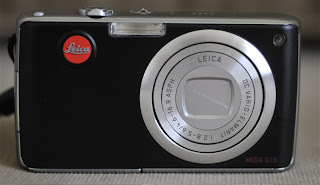 The other camera I use is the Leica C-Lux 1. Personally I feel this camera is over-rated but I digress. 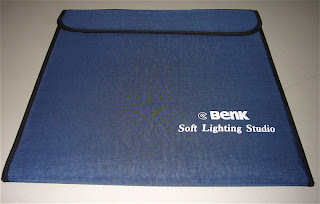 The soft box is from eBenk. The model number is WSB-652. It is a 'Professional Digital Studio Kit'. The all-in-one design is great. 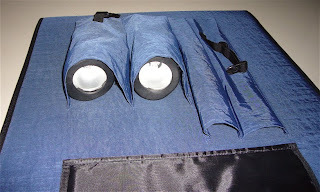 It comes with photo lights, tripod and studio-box (soft-box). First the lights. 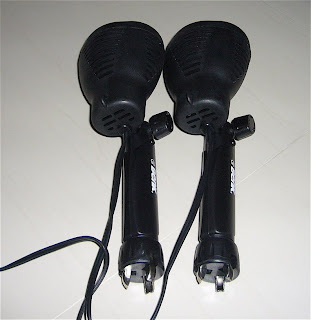 The model number is VL-7 and is rated at 50W. The lights are not white light but yellow. So when using the lights, please adjust your white balance (and don't forget reset when taking the family portraits). The lights ready for storage. The lights stored on the soft-box. 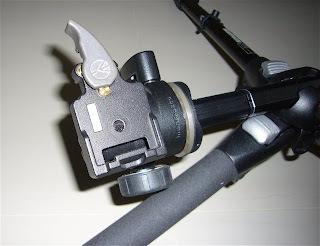 The tripod that comes with the kit, is sufficient for point and shoot cameras or light weight cameras (up to 600 grams). I do not use the tripod. 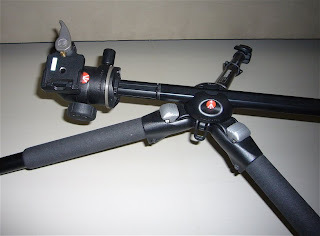 I use my Manfrotto 190 tripod with the ball head. Now on to the soft-box. 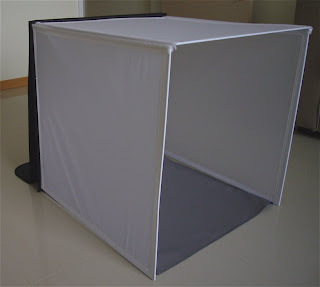 The soft-box is light weight and can be set-up for table top use. The walls are made of 100% nylon fibre mesh diffuser which is heat resistant and delivers a very uniform illumination. 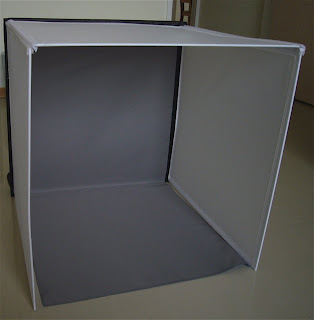 The soft-box can be folded up for storage and all parts are stored on the soft-box itself. The size: 50 X 50 x 50 cm. 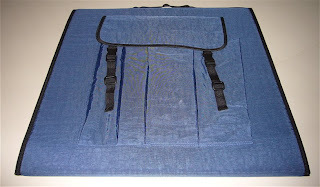 The soft-box actually folds up into a briefcase. The soft-box, stored with all the equipment. Along with the soft-box is the background. It is a dual-sided design, blue on one side and grey on the other. The dual colour background provides contrast for light and dark subject. The background is made of polyester. It is 49 X 99 cm in size. Lastly the watch stand. 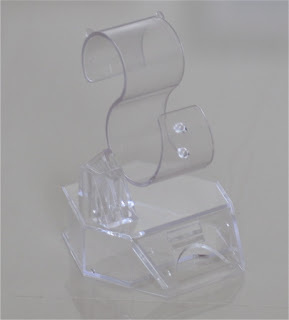 This is a standard watch stand that comes with Casio G-Shock. It is easy to use. I got an ebenk professional digital studio kit for Xmas, model wsb-342, i have just decided to start using it for my jewellery but i dont like the yellow lights...read somewhere about using daylight/OTT bulbs for jewellery photography. Do you think I could reuse the lamps provided and just replace the bulbs with daylight bulbs? Welcome to the blog. With regards to your question, I believe you can set your camera white balance to the lights you use. If not, you can do like me and use white lights. 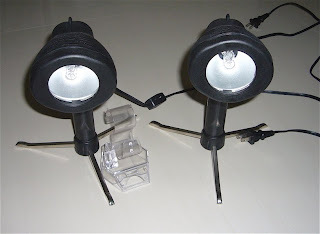 I've been trying to find out how to open the tripods in the base of the lamps. There is nothing about it in the instructions and they seem to be immovable. Please, are you able to help me?